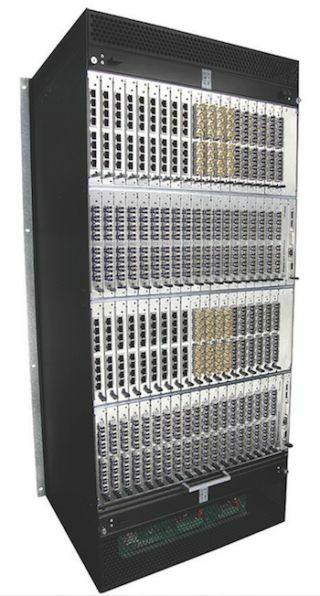 The What: The IHSE 576 Draco tera enterprise is a new matrix switch for KVM and SDI formats. The What Else: Each 576 frame can be configured as either a bi-directional HD-KVM switch for video and data or as a high-definition video routing switcher for DVI, HDMI, DisplayPort, and VGA. Other high-definition video signals such as HD-SDI, 3G-SDI, and USB 3.0 are supported with the optional UNI-IO high-speed I/O cards. Incorporating best-of-breed technology, the Draco tera offers tremendous scalability with cost-effective features including support for Ultra High Definition up to 4K at 3840 x 2160 resolutions. The Bottom Line: The Draco tera enterprise series is IHSE USA’s flagship HD-KVM switching solution for large KVM systems focused toward broadcasters, mobile production, cable, military, government, and corporate facilities. With field-proven performance and ultra-fast switch processing, the 576 combines large KVM switching with high-speed crosspoint technology in a cost-effective package.